Join a circle of friends who are changing the world. Partner with a growing circle of leaders to graduate more IWU students! 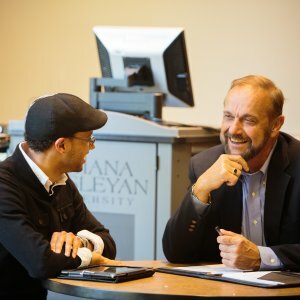 Students that graduate from IWU go on to change the world—thanks in large part to the ongoing support of the members of the Leadership Circle and Triangle Legacy Society. Members of the Leadership Circle help provide $24 million in financial aid today to prepare world changers for tomorrow. In that same visionary spirit, Triangle Legacy Society members lead the way forward for students by including IWU in their estate plans. And for Leadership Circle members, leading means way more than giving. 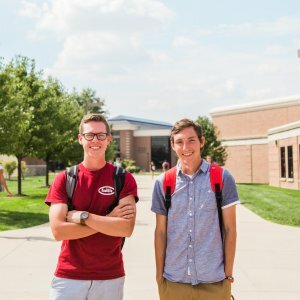 Encourage others to financially support IWU. By joining the Leadership Circle or Triangle Legacy Society with your gift, you’re expanding the future opportunities for many more students to come. Begin your journey today as a Leadership Circle or Triangle Legacy Society member by scheduling a call or visit with one of our development officers. Impact IWU Students for generations to come. Learn more how you can make a lasting impact for future IWU students and reap benefits for you and your loved ones through a legacy gift. Why you make all the difference. 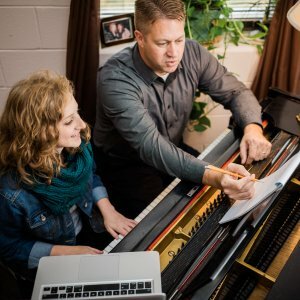 Discover how your prayers and gifts make the difference for IWU students. Find answers to your questions about giving, receipts, tax-deductions, and more here on our Donor FAQ page.